Home Chronic Disease Health Matters: Cardiovascular Disease & Screening. We live in an era of unparalleled advance, and by all impressions, things only look set to get better. Advances in science and technology have spurred many modern medical breakthroughs .Life expectancies continue to grow, and our overall health has improved. In the past, infectious diseases such as pneumonia and sepsis were the major causes of death, and polio used to be the major cause of disability. In the modern age of antibiotics and vaccines, these threats have all but disappeared. Instead, over the decades, we’ve seen the rise of new global health issues. 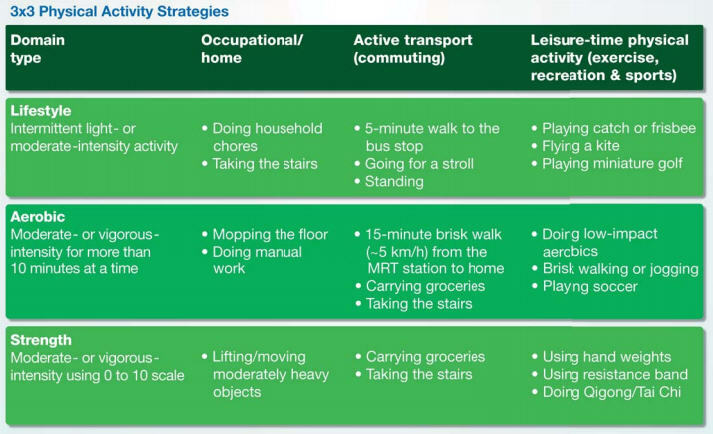 A more sedentary lifestyle has lead to an increase in chronic cardiovascular diseases such as diabetes and hypertension. Chronic diseases take time to develop, often years to decades. In the early stages they may not cause any symptoms to the patient. Many cases are only diagnosed much later, when complications have arisen and irreversible damage has already occurred. This need not be the case. Cardiovascular diseases may not cause may symptoms but they do have telling signs that can be picked up via screening. With early detection and intervention, we can reduce the risk of cardiovascular diseases and assure the patient of a full, healthy life. “Behavioral risk factors are responsible for about 80% of coronary heart disease and cerebrovascular disease”– WHO Global status report on noncommunicable diseases, 2010. In other words, your family history may give you an increased chance for developing these chronic diseases but ultimately it’s what you do that makes the difference. Dyslipidemia: Fatty deposits known as xanthelesma, typically seen around the eye. Diabetes: Fatigue, thirst, unexplained loss of weight, frequent urination, unusually frothy or bubbly urine. Damage to the muscles of the heart occurs when the blood vessels supplying oxygen to them are damaged or obstructed. This can cause death or permanent weakening of the heart. Strokes occur when blood vessels supplying the brain are blocked or rupture. The can result in death or permanent disability. Chronic diabetics may suffer from peripheral nerve damage, which may cause either a tingling sensation, pain or numbness, usually starting at the extremities. Loss of sensation may make it easier to injure oneself, which combined with the immunosuppression makes wound infections more severe. Often many poorly controlled diabetics have to undergo amputation of toes or even the entire leg because of severe infections starting off from an unrecognised injury to the numb extremity. Many of the complications of CVDs greatly affect the quality of life and are irreversible. Fortunately, many studies have shown that early action can greatly reduce the risk of these complications. Here are some tips. Numerous studies have shown the link between a poorly balanced diet and the rise of CVDs. Generally, its best to cut down on starchy, fatty foods and increase the intake of fresh fruits, grains and vegetables. There are many online resources available to help plan a better diet plan. See the Health Promotion Board‘s portal for some useful tips. Exercise has many useful benefits for the body. Exercise helps to lose unhealthy body fat, improves muscle tone and resting body metabolism, meaning you burn more calories at rest. Aerobic exercise also helps strengthen the heart. The official recommendation is to have 150 minutes of exercise per week. 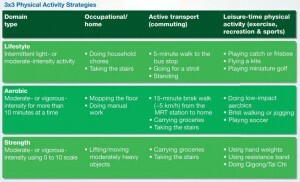 Tips available from the Health Promotion Board may help you to add exercise routines into your daily life. Every day our minds and bodies undergo constant strain and damage from day to day activities. Researchers recommend 7-8 hours of uninterrupted sleep per night for adults. An often forgotten health point. Water is the universal balm to many ailments. You should aim to have at least 7-8 glasses of water a day, more so if you are doing strenuous activity or taking substances like caffeine that act as diuretics. One simple tip is to replace soft drinks with plain water or fresh fruit juices during mealtimes. Cut down on alcohol and tobacco. The health hazards of tobacco smoke and excessive alcohol intake are a long list that expand beyond chronic cardiovascular diseases. Studies have shown small amounts of alcohol, particularly red wine, may help the heart, but moderation is essential. Quitting tobacco may be hard but there are many tools and programs available to assist. A perk of cutting down on tobacco and alcohol is the amount of money it can save you. Start now. This calculation is derived by taking your weight in (kg) and dividing by the square of your height in (m). The derived value is an indicator of CVD risk. Ideally all adults should be keeping an eye on their blood pressure from the age of 35. Routine BP checks can be done at your GP or at home with electronic BP machines. You should visit your doctor every 6 months to a year to calibrate the BP machine as well as review your pressure values. The optimal average blood pressure reading should be below 140/90 mmHg for the average individual, though lower readings may be recommended for patients with increased risk of cardiovascular disease. Routine assessments of fasting blood glucose can screen for early onset diabetes or pre-diabetic conditions. Generally FBS should be 4.0-6.0 mmol/l. Values higher than 7.0 mmol/l may indicate diabetes, while intermediate values between 6.1-6.9 mmol/l should be tested further to assess for pre-diabetes or early diabetes. Individuals should screen annually from the age of 35. Those at increased risk ( strong family history of diabetes, symptoms suggestive of diabetes etc) may need to undergo screening earlier or more frequently. Elevated fasting blood cholesterol levels lead to build-up of fatty plaques on blood vessels, which may rupture, leading to heart attacks and strokes. There are 3 main components that are assessed : the High-Density Lipoproteins (HDLs), Low-Density Lipoproteins (LDLs) and triglycerides or free fatty acid. High LDL and triglyceride levels tend to increase cardiovascular risk while high HDL levels are actually cardio-protective to some degree . Generally, individuals should aim for a low total cholesterol level ( <5.2 mmol/l) and a low LDL: total cholesterol ratio. As with blood glucose, it is a good idea to screen annually from 35 years of age. Individuals with high risk may need to screen earlier or more frequently. Patients who have increased risk factors for heart disease (e.g. strong family history of early onset heart disease,presence of one or more CVDs) or who have clinically suspicious symptoms for heart disease may benefit from a cardiovascular screen. These range from a simple resting ECG to arranging for a coronary angiogram, based on the likelihood of disease. d) Calcium scoring: A non-invasive way to assess for coronary disease, calcium scoring uses specialized techniques to identify calcified plaque deposits on coronary vessels. This is recommended for patients who have a strong family history of kidney disease as well as patients who have medical conditions such as diabetes or hypertension who are at risk of developing renal impairment. Screening can be done in union with the fasting blood glucose and cholesterol tests. Tests may be done on blood, urine or both. A good eye assessment can be crucial to preserving sight. Eye assessments should include visual acuity assessment, near vision and color vision assessment to assess visual function and retinal photography to assess early retinal damage for patients at risk (e.g. those with diabetes, hypertension etc). It is strongly recommended that patients with diabetes undergo yearly retinal photography and assessment. Good health should not be taken for granted. It is vital we do our part to maintain our health. A ounce of prevention today will prevent a lot of heartache down the road. Do your part to stay in the pink of health. Get yourself screened today.